Description: Location. Location. Location. 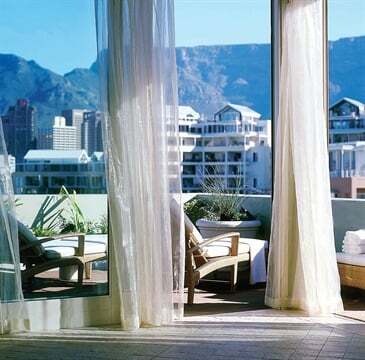 The Spa at Cape Grace is located on the top floor of the Cape Grace hotel, offering guests sweeping views of Table Mountain, the city, and the yacht marina, which all add an impressive element to the sensory experience. Treatments inspired by the African continent ensure clients leave with their well being restored. The spa is exclusive to hotel guests, so if you want to enjoy the view and the services, expect to stay the night. The Manicure uses citrus, aloe, and vitamins E and C to moisturize clients’ hands. The antioxidants in these ingredients “awaken the skin, correct sun damage, and give skin a smooth, firm appearance,” according to the salon’s menu. Eleanor Williams, marketing executive for The Spa at Cape Grace, says the included massage “stimulates the bodies’ lymph nodes to work efficiently, eliminating fluid and toxin build-up in the skin. It’s a great way to energize tired-looking skin.” The Spa attendant uses an African knopkierie (a wooden stick with a knobbed head) during the manicure service, leaving hands and nails nourished and beautiful. The last step in this over-the-top service is a calming head massage. Salon Location: West Hollywood, Calif. Description: l.a. vie l’orange made the cut because of their genius at healing treatments and their ability to market to their audience. They combine elegance, pampering, and quality with fun. This clever spa assigns a “diagnosis” to clients’ hand or foot condition, and “prescribes” a certain service as the recommended treatment. If clients have a diagnosis of dry, callused feet and cracked heels, the solution is The Orange Peel. The service begins with a luxurious foot soak to prepare feet for maximum results. To prepare clients for relaxation, l.a. vie l’orange lights candles to create a warm, welcoming atmosphere. During the service clients are offered their choice of homemade cookies, wine, champagne, hot tea, iced tea, orange-cucumber water, or hibiscus tea. The service continues with the application of a specially formulated callus removal serum, followed by an exfoliation treatment using the spa’s exclusive alpha-hydroxy sea scrub. Next, hot oil is used to massage the feet. Clients are further pampered, and feet are further treated, when paraffin is painted on and feet are wrapped in a hot towel. Cucumber heel cream application is the final step before polish completes the service. Clients can add a 20-minute extended massage for only $20. Description: This 90-minute after-shopping self-indulgence combines foot reflexology and a spectacular pedicure to revive not only your feet, but your spirits. 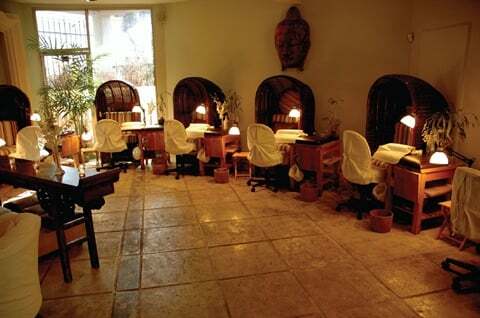 The treatment begins with 30 minutes of reflexology, leaving your feet relaxed and ready to be pampered. After this half hour of relaxation the feet are soaked and the cuticles conditioned before an exfoliating and “retexturizing” treatment begins. Next, a hydrating and conditioning mask is applied, and the hand and arm are massaged using Cellular Body Emulsion & Hand Cream. The finishing touch to this extravagant pedicure is a coat of polish. Description: It’s more than a pedicure, really. It’s an entry into an alternate world. Dubbed the No. 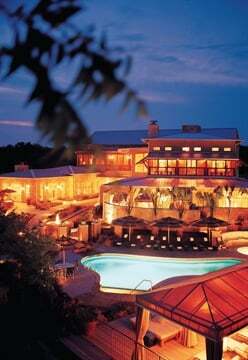 2 destination spa by Condé Nast Traveler, the Lake Austin Spa’s beauty and grounds are enough to command the $160 price tag. And for those of us who prefer the great outdoors to the inside (regardless of how lush that inside is), pedicures are available poolside for an additional $25. Guests are invited to change into a spa robe before they begin the 80-minute pedicure with foot soak. Next, a pleasant-smelling, vitamin-and mineral rich pumpkin masque is applied to clients’ feet. This softens and replenishes the skin, and helps the skin repair itself to reverse the signs of aging. Guests enjoy a foot massage and an exfoliating step to repair dry feet. Next, attention is turned to the nails; the cuticles are removed and the nails conditioned before they are filed, buffed, and polished.